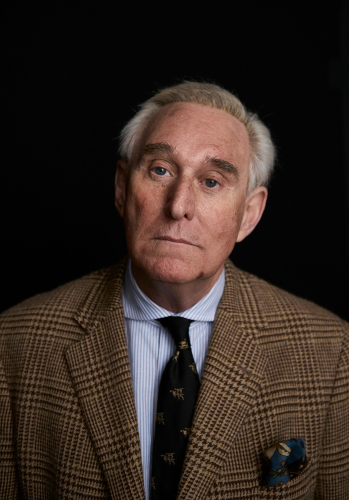 CNN’s exclusive news coverage of Roger Stone’s arrest was a big mistake. It reminded sentient people of the Ruby Ridge, Waco, and Elian Gonzalez raids. Smirking CNN snowflake David Shorttail claims he had a “gut instinct” to show up before 6 A.M. at Stone’s house. CNN’s Alisyn Camerota told Shorttail, “You were there before sunrise. It came as a surprise to you.” She elaborated, “What’s so fascinating is that we’ve talked to his attorney, the attorney didn’t know this was coming. Clearly Roger Stone didn’t know this was coming. You were staked out at his house, you didn’t know that this was coming. Why were you there in position?” Shorttail responded, “Alisyn, it’s a reporter’s instinct.” No one outside the FBI knew this was coming. Yet David Shorttail was in the right place at the right time. Shorttail claimed it’s “standard operating procedure for the FBI to show up heavily armed like this but they didn’t do this for other people connected in the investigation. So it is remarkable that they did this without warning without any indication to Stone’s lawyers beforehand.” He might believe this was an unprecedented move by the FBI because he asserted, “When Paul Manafort… was arrested, he surrendered at an FBI field office in Washington. He walked in the front door with his lawyers and that was in the morning around 8:00 or 9:00 a.m. I was there, as well, for that surrender. This? Very different.” Manafort was also subject to a predawn raid. Sen. Richard Blumenthal (who possibly served with Nathan Phillips in Vietnam), a member of the Judiciary Committee and a former U.S. attorney, called the Manafort search “a significant and even stunning development.” Blumenthal claimed these raids are generally reserved for “the most serious criminal investigations dealing with uncooperative or untrusted potential targets.” It appears that the Manafort raid has fallen through Shorttail’s Orwellian memory hole. Stone should consider himself very fortunate. Many predawn raids do not end well. Ruby Ridge resulted in the death of Vicki Weaver, who was shot in the head by sharpshooter Lon Horiuchi while she was holding her 10-month-old daughter, and the 14-year-old Sammy Weaver. In an effort to “save the children,” the Waco standoff resulted in twenty-one children under the age of 16 being burned alive. Elian Gonzalez was not shot or burned. He was simply deported back to Cuba. Of course, those were the days when people were not so concerned about children. All these incidents illustrate that the Deep State is still in charge. It appears that our elected President is not in control. He keeps appointing Deep State apparatchiks like Wray and Barr. The real criminals will never go to jail. In all this there remains grounds for levity. David Shorttail has revealed himself as a genuine Inspector Clouseau of journalism. He reported, “We saw Roger Stone come to the door obscured by an FBI agent. He was not wearing his usual attire, which is, as we know, these fancy suits, he was in sleep wear.” Now we know that Roger Stone does not sleep in “fancy suits.” Alisyn Camerota informed her viewers that the FBI were wearing “flap jackets.” Perhaps this is a new form of equipment.